The facility is located near exit 1 of Youth Park in Wanhua District. 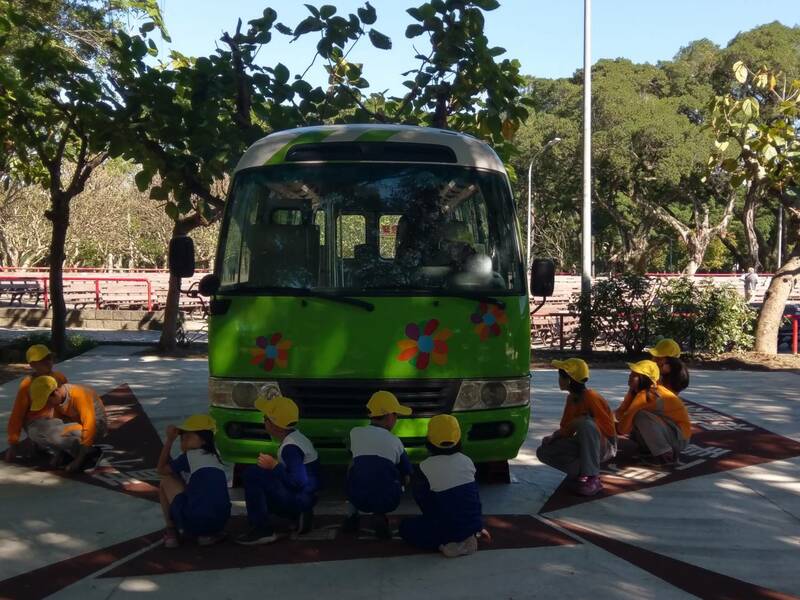 Young children will be able to learn about the precautions taken before crossing intersections and related traffic knowhow through an environment simulating city crossroads. The 7 areas within the facility include traffic signs treasure hunt, pedestrian crossing knowledge, secrets to waiting safely, diagnosis of blind spots, traffic sigh flip game, alleyway simulation, and knowhow of crossing streets. According to DOT, a total of 41 pedestrians between the age of 7 and 12 were injured from January through October of 2018. The figure from the same period in 2017 was 44, showing a slight decrease. The main causes of injury include “failure to cross the street via pedestrian crossing,” “failure to follow traffic light or sign when crossing the street,” or “failure to check incoming vehicles before crossing.” These show that there is still room for improvement regarding traffic safety education for kids. The agency encourages parents to bring their kids to the Transportation Park and have them try out the interactive games at the facility to learn more about traffic safety and precautions before crossing the street.